Get your Stockdale & Leggo flags to impress clients and prospective buyers, and to generate maximum street exposure so you don't miss a potential sale when prospects can't find your properties! Buy Real Estate flags online direct from Australia’s leading flag manufacturer. The flags are Australian made with Same Day Shipping for weekday orders placed before 12pm from our Melbourne warehouse for stock items. 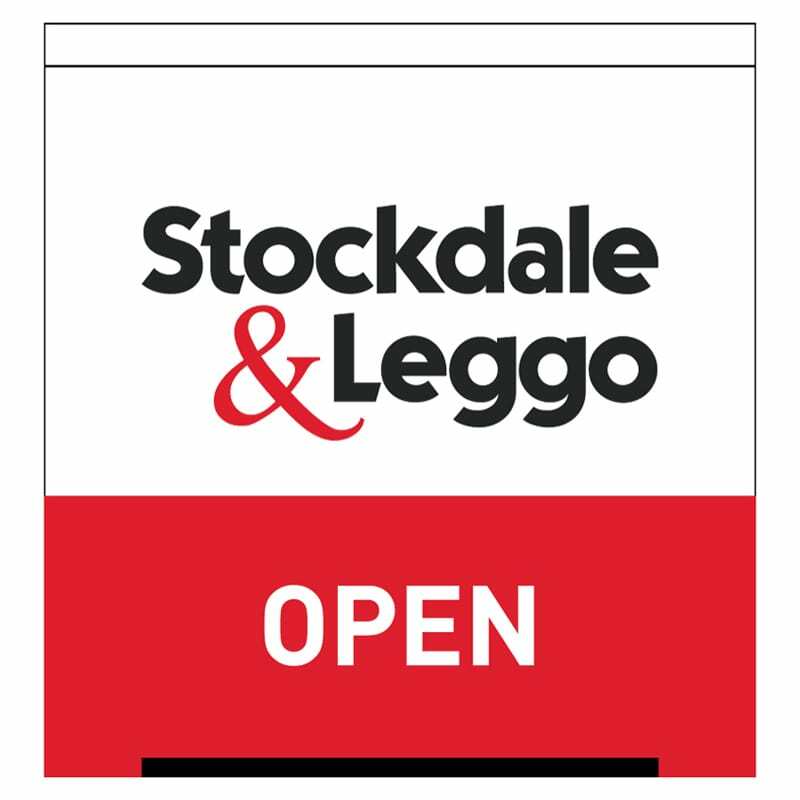 Stockdale & Leggo real estate flags available below in a range of sizes and styles. In addition to stock flags which you can buy online, but we can also do custom flag printing for flags and hand flags to the design of your choice, just contact us for a quote.